For many people the choice of frames available is overwhelming, but there are some general guidelines which are useful to bear in mind when considering a new frame. These differ from person to person and certain facial shapes will benefit from different styles of frame. Typically, there are considered to be five main facial shapes: Round, Square, Oval, Oblong and triangular. 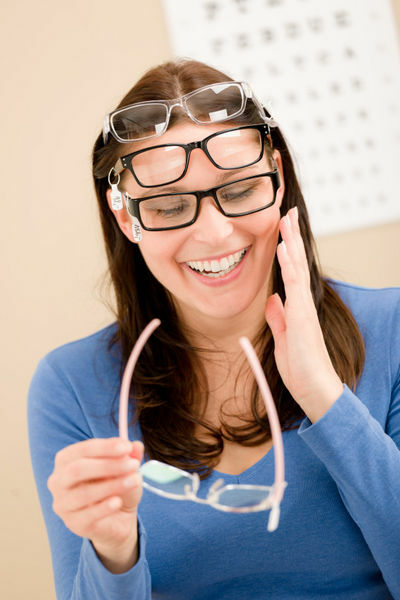 Frames can be used to maximise the positive aspects or minimise the negative aspects of your face shape. Round – For a round face we would recommend a more rectangular frame in order to make the face appear slimmer and longer. Square – A square face would be suited to a more oval or round frame making the angles of the face softer. Narrow frames with more width than depth to help make the face look longer. Oval – Most glasses suit an oval face shape. Maybe go for a wider frame, keeping the natural oval shape. A frame that is as wide or wider than the broadest part of your face. Oblong - A long oblong face can benefit from a wider frame to break up the long shape, such as an Aviator. Frames that have more depth than width or contrasting sides that add a little bit of width to the face. Triangular – Frames which are wider at the bottom or rimless would best suit a triangular face shape. Choosing a single coloured frame rather than multi coloured can also be beneficial. Taking a bit of time to look in the mirror and decide what shape your face is may well make it easier for you to find the perfect frame. Hair and facial colourings, including colour of eyes. These play a significant part in making a frame appear right on your face, even down to the way in which your hair is styled. Your hair colour can have a big impact on what looks good. For example, blonde hair with warm undertones would suit a tortoise shell coloured frame. Paler complexions will find that dark frames stand out from the face and tend to look larger whereas softly coloured frames will blend in and complement the facial colourings more. For those with darker complexions plain silver or gold will have a dramatic appearance and darker colours such as shades of brown or copper will be more subtle. Your prescription can play a big part in the overall suitability of a frame - as a rule of thumb the higher the prescription the thicker and heavier the lens will be in a large frame. Hence a small frame will be better both cosmetically and from a weight point of view. BUT if you need a bifocal or varifocal lens be wary of going too small! All of our staff are experienced at assisting in the selection of frames and will always give honest opinions about the suitability of a frame for you and be able to offer you alternatives for your facial shape and colouring. So please just call into the practice for a chat and to try some frame styles on.